7TH GENERATION INTEL CORE I7 PROCESSORThe perfect combination of MSI gaming laptops with 7th Generation Intel&reg; Core™ i7 Processors will give up to 10% better performance for a smoother VR experience. 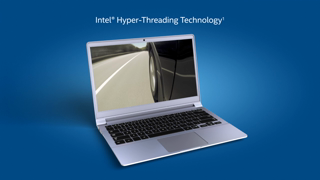 The 7th generation Intel&reg; Core™ H series processor utilizes a power-efficient microarchitecture, advanced process technologies, and silicon optimizations to deliver faster performance over previous generations. When compared to the i7-6700HQ, the CPU core performance of the i7-7700HQ averages 8% faster in daily use. Multimedia performance is 10% faster and 4K video decoding/transcoding is improved nearly 15%. The new media engine of the 7th generation Intel&reg; Core™ H series also comes with power efficient VP9 and HEVC 10-bit hardware acceleration delivering significantly improved HDR visual quality. 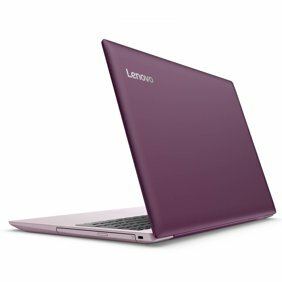 7TH GENERATION INTEL CORE I7 PROCESSORThe perfect combination of MSI gaming laptops with 7th Generation Intel® Core™ i7 Processors will give up to 10% better performance for a smoother VR experience. 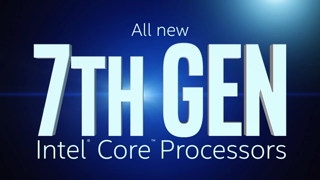 The 7th generation Intel® Core™ H series processor utilizes a power-efficient microarchitecture, advanced process technologies, and silicon optimizations to deliver faster performance over previous generations. 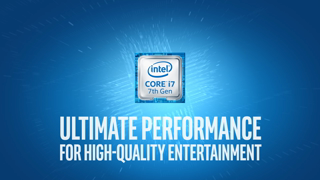 When compared to the i7-6700HQ, the CPU core performance of the i7-7700HQ averages 8% faster in daily use. Multimedia performance is 10% faster and 4K video decoding/transcoding is improved nearly 15%. The new media engine of the 7th generation Intel® Core™ H series also comes with power efficient VP9 and HEVC 10-bit hardware acceleration delivering significantly improved HDR visual quality. ModelBrandMSIModelGL72 7QF-1057Quick InfoColorBlackOperating SystemWindows 10 Home 64-BitCPUIntel Core i7-7700HQ 2.8 GHzScreen17.3"Memory8 GB DDR4Storage1 TBOptical DriveDVD Super MultiGraphics CardGeForce GTX 960MVideo Memory2 GB GDDR5Dimensions (W x D x H)16.45" x 10.60" x 1.16"Weight5.95 lbs.CPUCPU TypeIntel Core i7 7th GenCPU Speed7700HQ (2.80 GHz)Number of CoresQuad-core ProcessorCore NameKaby LakeCPU L3 Cache6 MBChipsetChipsetIntel HM175DisplayScreen Size17.3"TouchscreenNoWide Screen SupportYesDisplay TypeFull HDResolution1920 x 1080LCD FeatureseDP Non ReflectionOperating SystemsOperating SystemWindows 10 Home 64-BitGraphicsGPU/VPUNVIDIA GeForce GTX 960MVideo Memory2 GBGraphic TypeDedicated CardStorageHDD1 TBHDD RPM7200 RPMMemoryMemory8 GBMemory SpeedDDR4 2400Memory Slot (Total)2Max Memory Supported32 GBOptical DriveOptical Drive TypeDVD Super MultiCommunicationsWLANIntel 3168 Sandy Peak 1 (1x1 802.11 ac)BluetoothBluetooth 4.0PortsUSB1 x USB 3.0 Type-C2 x USB 3.01 x USB 2.0Video Port1 x Mini DisplayPortHDMI1 x HDMIAudio PortsHeadset AMP + Gold Flash jacksAudioSpeakerSpeakers x 4 (2W)Input DeviceTouchpadMulti TouchKeyboardSteel Series Non Backlite 102 KeysWebcam720p HD WebcamCard ReaderSD (XC / HC)GeneralStyleStandardTypeGaming & EntertainmentUsageConsumerPowerAC Adapter120-watt AC adapterBattery6-cell lithium ionDimensions & WeightDimensions (W x D x H)16.45" x 10.60" x 1.16"Weight5.95 lbs.